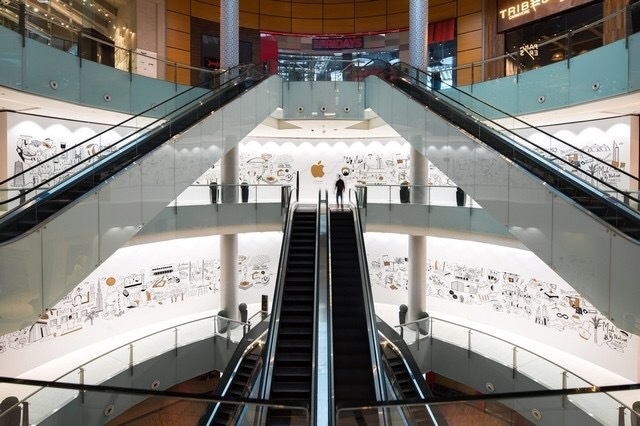 Apple’s third retail store in the country will open in The Dubai Mall on April 27. The two-level store, located on both the ground floor near Pucci and Jimmy Choo, and the first floor near Paule Ka, will be officially opened at 4pm. With a tagline “Creativity. 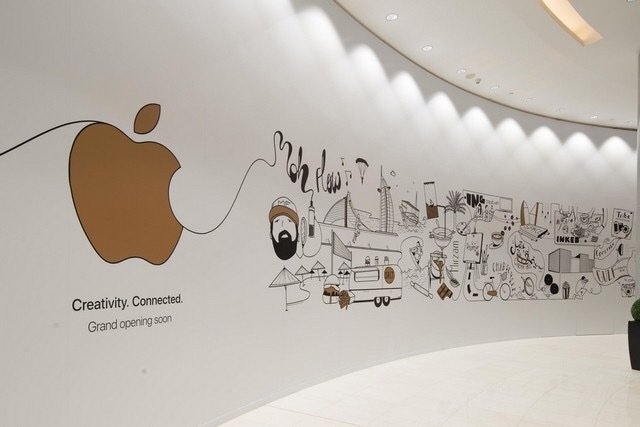 Connected.”, Apple is targeting the country’s creative community that includes start-ups, independent art galleries, local app developers, boutiques, cafes and food trucks, according to the company. This will be the third Apple store to open in the country with others at Mall of the Emirates and Yas Mall in Abu Dhabi. Posted on April 18, 2017, in #middleast, #retail, Other. Bookmark the permalink. Leave a comment.